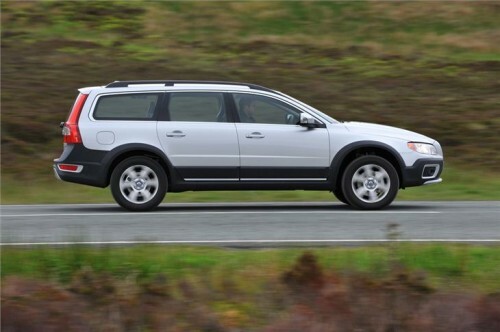 The Volvo XC70 is a car which offers amazing versatility and comfort. Basically, the only thing that the XC70 does not do well is serve as a small city car. It is an elegant estate with improved off-road ability, room for seven people and very good engine. Mine has a 3 l T6 engine with amazing 300 HP. Even though the car is big and heavy, it accelerates incredibly quickly and has the top speeds of well over 200 kilometers an hour. I have driven it 220 kilometers an hour and it was capable of more. The fuel consumption is at about 11 l per 100 km if driven carefully. I can’t really say this is little but for a 3 l engine and a car of this size, this is actually pretty good. All Volvo cars provide lots of safety and this is the case with the XC70. In terms of design some would call it dated, and I would have to agree, but I like this simple and confidence-inspiring look. Beautiful dark skirtings running down the bottom line of the doors and around wheel arches give it a really rugged feel. 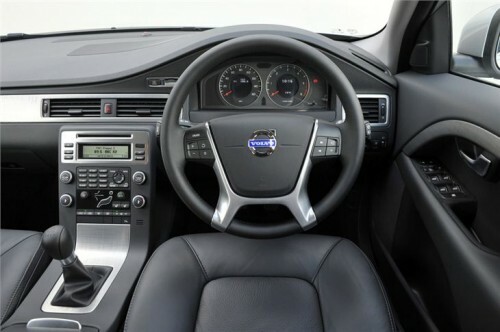 Speaking of the interior, it is also very simple and classy with straightforward controls, clear dashboard clocks, large steering wheel, more than enough room and incredibly comfortable seats. Speaking of room and seats, there are seven of them placed in three rows. A very nice touch is the green light which glows at night. The boot volume is 575 liters, which is pretty big, but still somewhat smaller than with most of the competitors that offer cars this size. Also, if you neglect the power which leads to surprising speed, it is pretty bland when it comes to driving. Also, as I have already mentioned, some people find its design not very modern, but personally, I love the “clean” simplicity of things.